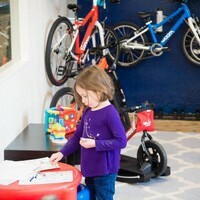 On this episode of the Shift Up podcast, Bike Shop Girl owner and podcast host Arleigh Greenwald sits down with Amanda Braverman to discuss the topic of how to get more kids on bikes and save the bike industry from looming failure. In 1969, fifty percent of children were biking or walking to school. As of 2009, only thirteen percent of children were walking or biking to school. Today, most children learn how to use a phone or tablet years before they learn to ride a bike if they learn at all. These facts have devastating consequences. First, more children are struggling with crucial physical and cognitive development in these early years, and obesity is running rampant. 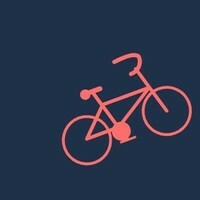 Second, the bike industry is looking to fade out of existence within a few decades due to a decline in consumers. What’s the solution to these devastating problems? This is the focus of the conversation with Amanda. 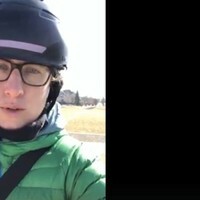 Amanda Braverman is the Director of Educational Programs at Strider Sports International, a company that is making the world a better place by breaking down barriers between kids and bikes. From the beginning of this conversation, Amanda makes it clear that the stakes are high: the bike industry will quickly fade away if the next generation of people are not taught to ride. 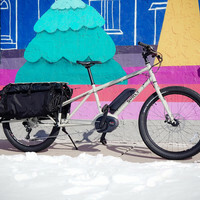 Strider’s goal is to shift the focus from the internal competition within the bike industry to a full-fledged attack on the decline of the industry itself by educating the next generation of cyclists. 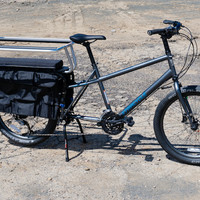 As the saying goes, “a rising tide lifts all ships”, and this is Strider’s philosophy for improving the bike industry as well as they seek to help the industry grow by getting more kids, and therefore more families, on bikes. 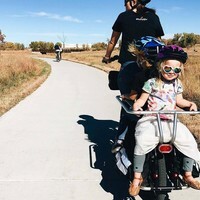 As the episode progresses, the solutions to these issues of youth-development and the decline of the bike industry become more concrete as Amanda begins to unpack the numerous programs at Strider aimed at getting more kids on bikes and at earlier ages. There is the Strider World Championship Race, which will represent children from more than a dozen countries. 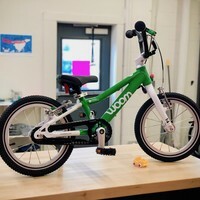 Then there is the unique 14X bike from Strider that allows kids to switch from balance mode to pedal mode with the change of one single bolt. And then there are initiatives like Strider Adventure Zones, Strider Cup Races, and Discovery Rides which are geared towards engaging younger riders. Moreover, Amanda discusses the unique opportunities that schools and bike businesses have by partnering with Strider to bring bike-training programs to their local communities. As the conversation closes, one thing becomes starkly clear: more people must step up for the cause. Kids need to learn how to bike, and the bike industry needs kids. Without being physically active the plethora of physical and cognitive developmental issues that our children are facing will continue to grow. But by simply teaching children the joy of riding bikes, you inevitably win their families and work towards long-term sustainability of this incredible industry, something that Strider has dedicated itself to accomplish. You can subscribe to the Shift Up Podcast on iTunes, Stitcher, Spotify, and YouTube. If you enjoyed this episode make sure to listen to others here. Make sure to join the conversation on your favorite social channel using #betterbikeindustry. If you enjoyed this episode then make sure to listen to others! 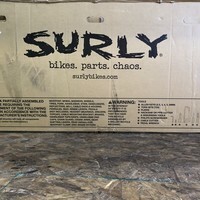 The Surly Big Easy Cargo Bike Has Arrived!